Hi guys just a quick note to say I am taking part in a blog tour for Created, The Destroyer thanks to Clara Diaz at The Little Brown Book Group. 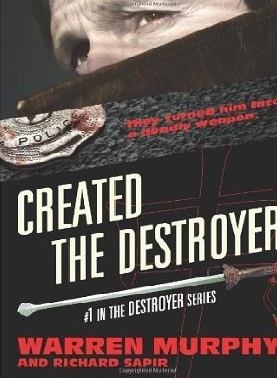 Created, The destroyer by Warren Murphy is book one in a long running thriller series which has sold over 60 million copies worldwide. The series is the story of a former police officer, Remo Williams, who gets sentenced to death for a crime he didn’t commit BUT hours before he sits in the electric chair a mysterious monk visits him and gives him a black pill to bite just before he dies. He bites the pill and after “dying” he wakes up in an ambulance! He has now been rescued/recruited by a secret government organization as an assassin. He is now The Destroyer. 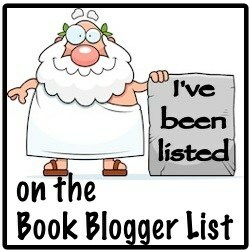 My part in the blog tour will take place on the 21st September and this is when I will be publishing my book review. Would love to hear from anyone who has read the series (Spoiler free of course) all opinions discussions welcome! This entry was posted in Book Features, Book review and tagged adult novel, book blog, book blogger, book reviews, Created The Destroyer, crime novels, Destroyer series, fiction reviews, police books, Thriller books, Thriller fiction, Warren Murphy on June 26, 2014 by Chloe.